Here is one report in one of the biggest newspapers, the Independent. JOHANNESBURG – Standard Bank has defended its subsidiary Stanbic Bank Zambia on allegations of bribing three judges in that country to receive favourable judgment against its former client. Standard Bank said yesterday that the accusations had no merit. “Stanbic Bank believes in transparency and the rule of law. We respect the judgment, which was arrived at in a fair and transparent manner in accordance with the laws of the land,” Standard Bank said. This comes after Stanbic appealed the September 2016 ruling by high court judge Justin Chashi, who ordered the bank to pay Savenda K192.5 million (R253.23m) for loss of business and vital contracts after the bank reported the local enterprise to the Credit Reference Bureau for defaulting on instalments. Savenda received a loan of $540000 (R7.18m) from Stanbic in 2007. According to records, Savenda was servicing the loan as scheduled, but the bank’s system could not capture these monthly repayments. Stanbic admitted the error and put it in writing that they would rectify the problem. But, another Standard Bank reported Savenda to the Credit Reference Bureau as a deliquescent borrower. In March Stanbic appealed to the Court of Appeal, which decided that the damage suffered by Savenda was only nominal or existing in name only and awarded Savenda K5000. 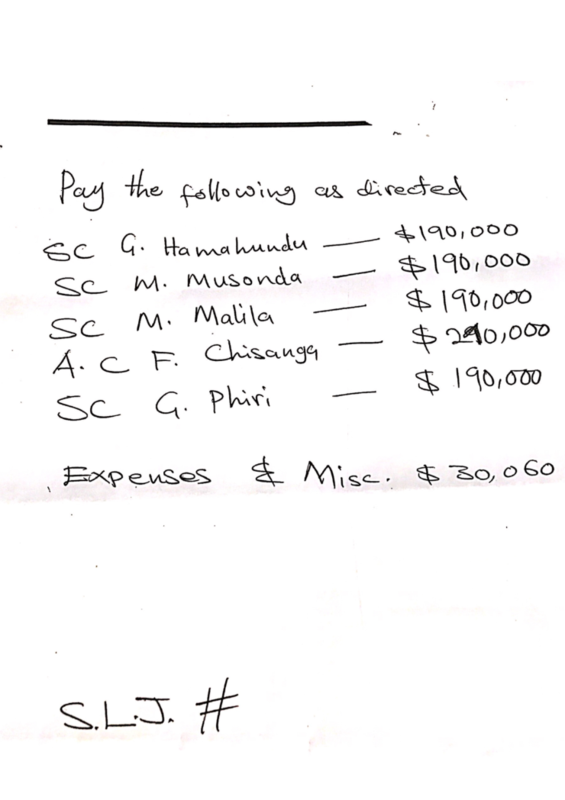 Three Supreme Court judges Nigel Mutuna, Michael Musonda and Evans Hamaundu dismissed the appeal by Savenda. Since then, several individuals and organisations have accused the three judges of professional misconduct. The National Empowerment Forum called on chief justice Irene Mambilima to constitute a tribunal against the three judges. However, the Law Association of Zambia (LAZ) has defended the Court of Appeals ruling and supported the judges. “As LAZ we have understood these comments and allegations as being calculated to interfere with the proper administration of justice, calculated at instilling fear in the minds of the named and other judges for purposes of impending their independence in the adjudicative process and inhibiting the discharge of the duty that counsel owes his client,” LAZ said. LAZ said while the members of the public are at liberty to comment on decisions of the courts in Zambia and exchange views on the decisions, it was contemptuous to allege a bias and incompetence against the court. “A party or any person who makes such allegations is liable to be cited for contempt of court and if convicted, sentenced to imprisonment or to pay a fine or both,” LAZ warned.